Mother of pearl chips in different sizes and shapes can be used as fashion accessory pendants, furniture, inlay decorations, Mother of pearl MOP shell watches, rings, bangles, bracelets, musical instruments and many more. 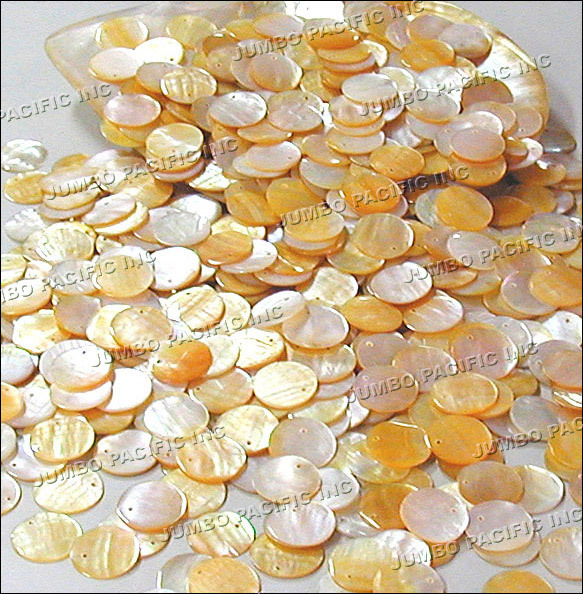 Also mother of pearl in MOP chips in flat round shape is also available. For more designs see photos below. Every a piece of mother of pear shell it can be transformed into Mother of pearl in MOP chips. It may create kitchen utensils like spoon, fork, knife and plate. Mother of pearl shells are carefully laminated and crafted to create these wonderful piece. An elegant-looking utensils during special occasions and as wells for everyday use. These Mother of pearl in MOP utensils are also great for decoration.